Mieszko's son, Boleslaus I the Brave, continued the policy of consolidating the state. He also engaged himself in politics i.a. in Bohemia and Slovakia. In 1000, he hosted the Emperor Otto III. It was then when the decision about creating the independent metropolis of Polish Church with the archbishop see in Gniezno and bishop seats in Kamień, Poznań, Cracow and Wrocław. The Emperor crowned Boleslaus with his circlet. Some historians see that as an agreement to crown Bolseslaus a king, and others even perceive this fact as the coronation itself. Eventually, Boleslaus was crowned a king shortly before his death, in 1025. The royal crown was lost by Mieszko II Lambert, who in 1034 renounced the title and sent the regalia back to the Empire. After a period of recession, Polish statehood was rebuilt by Casimir I the Restorer. His elder son, Boleslaus the Bold (called also the Generous), restored royalty in 1076, but he was deprived of power and expelled from the country three years later, after a mutiny of oligarchs, incited by St. Stanislaus. The King's namesake, the Prince Boleslaus III the Wrymouthed conducted independent policy, but he did not receive the crown. His decision which was the most significant to the future of Poland was to share the country after his death among his sons, to whom he appropriated hereditary provinces. He also made the eldest of them the Prince Superior (Princeps), establishing the seigniory rule. The Senior Prince was supposed to rule the capital city of Cracow. The first Senior Prince from 1138 was the eldest of the sons – Ladislaus II. As a hereditary province he obtained Silesia. However, in the face of his younger brothers' opposition, he had to flee the country together with his family in 1146. That is why he is known as the Exile. The supreme power was taken by the next brother, Boleslaus IV the Curly, who in 1166 returned the seized province of Silesia to the exiled brother's sons – Boleslaus I the Tall and Mieszko I Tanglefoot. The seigniory rule was observed up to 1177, when the Prince Mieszko III the Old was exiled from Cracow and replaced with the Wrymouth's youngest son, Casimir II the Just. Athough he was not the oldest Piast, his authority was accepted. However, the Prince Casimir II gave to Mieszko I Tanglefoot the castellanies of Bytom and Oświęcim, which formally were a gift to Mieszko's son Casimir (the Prince's namesake and godson). Up to that time, these castellanias were within the seigniorial quarter. The first attempts at overcoming the division into quarters originated from the courts of Silesian princes. As a result of the politics conducted by Henry the Bearded and his son Henry the Pious, the so-called Henrys' Monarchy was created. It covered most of Polish terrains. Unfortunately, the Monarchy collapsed after the Battle of Legnica (1241). The princes who remained under Henrys' ruling gained independence. His efforts were continued by Przemysław II, a prince from Great Poland, who had to resign the throne in Cracow, but in 1295 he was crowned a king in Gniezno. One year later he was murdered. After a period of Bohemian monarchs' rulings, Ladislaus IV the Elbow-high unified the country (Great Poland, Lesser Poland and Pomerania). This prince from Cuiavia was crowned a king in 1320. The last Polish monarch from the Piast dynasty was the Elbow-high's son, Casimir III the Great. 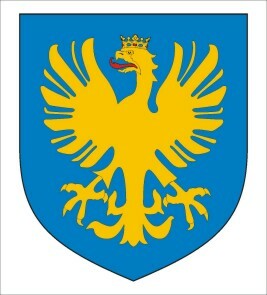 In 1339 Casimir II renounced his rights to Silesia as a result of the pact with the Luxemburgs from Bohemia, who claimed Polish crown as the successors of the kings from the Přemyslid dynasty. 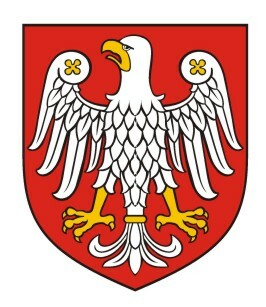 Silesia came under Bohemian monarchs' ruling. Casimir III the Great died in 1370. His successor was King of Hungary Louis I the Great from the Angevin dynasty. The Wrymouthed's decision to divide the country into quarters resulted not only in the partition of the state but also of the dynasty itself. The three sons: Ladislaus II the Exile, Mieszko III the Old and Casimir II the Just became the founders of three separate dynasty lines. Silesian Piasts is the most widely bred line of the Piast dynasty. In the second generation it has already divided into the Piasts from Upper and Lower Silesia. The founder of the first – and older – line was Boleslaus I the Tall. The ancestor of the other was Mieszko I Tanglefoot. The Lower-Silesia Piast line divided in 13th century into further several lines. After Henry II the Pious's death, his sons received separate principalities of Wrocław, Brzeg with Legnica and Głogów. The last Piast Prince of Wrocław was Heny VI, who died in 1336. Before death, he made the King of Bohemia his successor. Bolko I, the Prince of Świdnica and Jawor, founded a separate princely line. The last prince of this region was Bolko II the Short, who also ruled the principality of Łuźyce. He named his niece Anna as his successor. She was a daughter of Charles IV Luxemburg, King of Bohemia. Bolko II died in 1368 as the last independent prince of Silesia. 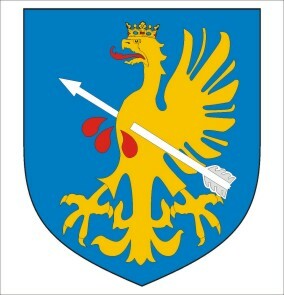 Bolko II, the younger son of Bolko I, was given the principality of Ziębice. His last descendant, the Prince John, died childless in 1428. His principality came under the Bohemian King's ruling as his fief. 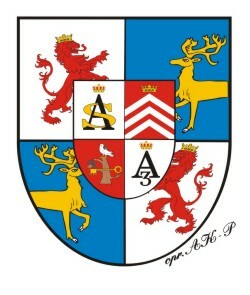 The princely line of Głogów and Żagań originates from the Prince Konrad, the younger son of Henry II the Pious. This line extinguished only in 1504, upon the death of the Prince John II. The namesake of Konrad I from Głogów, his grandson Konrad, received, as a result of the family partitions, a separate principality with the capital in Oleśnica. All his male descendants bore the name Konrad. The last ones were two brothers: Konrad IX The black and Konrad X the White. The younger died childless in 1492. The line extinguished upon his death. Boleslaus III the Generous, called also the Spendthrift, was the founder of the princely line of Brzeg and Legnica. That Piast line ruled for the longest time. The last prince was George IV William, who died on 21 November 1675. His sister Caroline was the last representative of the Piast dynasty. She died on 24 December 1707. The last male representative of the Lower-Silesia Piasts was August the count of Legnica. He was a son of the Prince of Brzeg from his second, morganatic marriage with Anna Jadwiga von Sitzch. Despite his efforts in the Emperor's court, he was not given the legacy after his nephew, the Prince John IV Wiliam. He died in 1679. The Upper-Silesia Piast Line originates from the Prince Mieszko I Tanglefoot. After the Prince Ladislaus' death about 1281/82 his four sons received separate principalities and founded four princely lines. The first to extinct was the line of Racibórz, originating from the Prince Premislaus. His son Leszek died childless in 1336 and his brother-in-law, the Prince of Opawa Nicolas II from a side-line of the Bohemian Přemyslids became his successor. The Piast line of Bytom and Koźle originated from Casimir, Ladislaus' second son. In 1289, Casimir as the first Piast recognised the Bohemian King Venceslas II (future King of Poland) as his vassal. The last in line was his grandson Boleslaus who died about 1354/35 in the Italian city of Venzone. His principality was divided between the Princes of Oleśnica and Cieszyn. The line of Piasts in Opole was founded by Ladislaus' third son, called Boleslaus. The last ones of the line were brothers Nicolas II and John II the Good. Nicolas was beheaded in 1497 on the marketplace in Nysa. He was accused of offending the King. His elder brother was avoiding conflicts and made rational decisions. He invested in economic development of his principality and bought terrains in Upper Silesia. He was the last Piast who ruled in almost the whole Upper Silesia (except the principalities of Cieszyn and Opawa). He died childless in 1532, previously naming the Prince of Karniów, margrave George of Ansbach as his successor. The Piast line of Cieszyn and Oświęcim proved to be the longest-lasting. Twice the princely line of Oświęcim and Zator disconnected from it. The last Prince of Oświęcim John IV died in 1497, leaving his domain to the Polish King. His nephew, the Prince of Zator John V, who died in 1513, did a similar thing. The last in line was his son Janusz (probably natural), who died about 1519-21. The princely line of Cieszyn extinguished only in 1625, when the Prince Frederick William died. In accordance with previous privileges, the Prince's sister Elisabeth Lucretia ruled in the principality till her death in 1653. 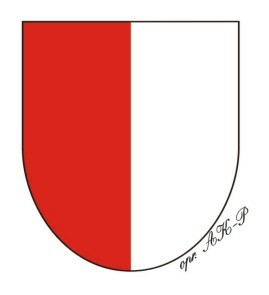 After that, the principality was incorporated in the Habsburgs' domain. Elisabeth Lucretia was against handing Cieszyn over to the Habsburgs and thanks to her efforts Venceslas Gotfrid, her natural brother, was recognised as the Prince's son in 1640. However, his extramarital origin prevented him from obtaining the Princely throne. The emperor gave him the title of baron von und zu Hohenstein. His grandson Ferdinand II died on 3 April 1706 as the last representative of the Piast dynasty. The Great Poland became the hereditary land of the Prince Mieszko III, later called the Old. Although he had a few sons, the line of his descendants did not separate and the quarter did not get comminuted. The last male descendant was Premislaus II, who after receiving the Lesser Poland after Henry II Probus continued his efforts to obtain the crown. He lost the quarter of Cracow, but in 1295 he was crowned the King of Poland. He was murdered in 1296. His only daughter – Riksa Elisabeth – became the wife of the Bohemian King Venceslas II, who in 1300 was crowned the King of Poland. As the Wrymouthed wrote in his last will, Masovia was given to his other son Boleslaus IV the Curly, who after expelling Ladislaus II the Exile became also the Princeps. After his death in 1173 Masovia was inherited by his only son Leszek, who died childless in 1186. Then, Masovia and Cuiavia were inherited by Casimir II the Just. The fact that Casimir II was not mentioned in the Wrymouthed's last will is interpreted by some historians as a confirmation that he was born after the Wrymouthed's death. Initially, he ruled in Wiślica. Eventually, the Lesser Poland, Masovia and Cuiavia came under his ruling. Casimir II the Just's descendants divided into three lines: of Lesser Poland, of Cuiavia and of Masovia. In 1200, Masovia was given to Konrad I. The founder of a separate princely line was Siemovit I. In next generations, Piasts of Masovia divided their lands a few times, creating principalities with capitals, i.a., in Płock, Czersk, Rawa and Warsaw. The last of the Masovian Piasts was the Prince Janusz III, who died in 1526. The Prince's sister Anna tried to obtain lifelong power in the principality, but in 1529 she was deprived of it, and Masovia was incorporated in the Republic of Poland. She died in 1557. The line originated from Casimir II the Just's elder son, Leszek the White, who formally gained power in Cracow after his father's death in 1194. He held i with intervals up to 1227. The successor was his only son Boleslaus V the Chaste, who became the Prince of Cracow in 1243 and ruled until he died childless in 1279. The founder of this line was the Masovian Siemovit's elder brother, the Prince Casimir. Casimir's son, Ladislaus I the Elbow-high, restored monarchy in Poland. His son, Casimir III the Great, was the last Polish King coming from the Piast dynasty. The princely line of Cuiavia was continued by the Elbow-high's nephews, who ruled Lesser principalities in Cuiavia. The last in line was the Prince of Gniewkowo, Ladislaus the White. In 1370 he tried without effect to claim the crown. He died in 1388. His niece Elisabeth Kotromanicz (daughter of Stefan, the ban of Bośnia, and the Princess Elisabeth of Cuiavia) was the second wife of Ludvig the Hungarian, the King of Poland and Hungary (d. 1382) and the mother of the Polish queen and saint Jadwiga (d. 1399). The ducal family that ruled in Courland. One of the first representatives, as recorded in documents, was Carl von Bühren (d. 1612), who served the Duke of Courland. His great-grandson Ernest Jan (d. 1772) made a big career. He was the Empress Anna Romanov’s favourite; he received many offices and titles. In 1733, he became the Empire Count (Germ. Reichsgraf). 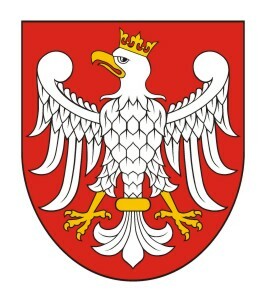 In 1737, the Parliament of the Republic of Poland consented to his acquisition of the ducal title and accession to the throne of Courland and Semigallia, which were a fief of Poland and Lithuania. After the Empress’s death, he was named the Regent of Russia, but soon was overthrown, deprived of all titles, and sent to exile. In 1763, after another change on the Russian throne, Catherine II became the Express, and Courland and Semigallia were returned to the Duke. He abdicated in 1769. The family divided into two lines: of Żagań and of Syców. The line of Żagań (Germ. von Sagan): Peter (d.1800) took over the throne of Courland. The Duke was forced to abdicate in 1795 after the Third Partition of Poland. The Duchy of Żagań became then his main seat. He bought that Duchy from the Lobkowitz family in 1786. After his death, his four daughters inherited the lands. After the youngest daughter Dorota’s marriage, they became the property of the French aristocratic family de Talleyrand-Perigord. The line of Syców (Germ. von Wartenberg) stems from the Prince Charles (d. 1801 r.), the Prince Peter’s younger brother. The name of the line comes from the family’s property in Syców in Silesia. They belonged to the family since 1734, when Ernest John bought them. The last owner was the Duke Charles Biron von Curland (d. 1982). In 1945, along with the decline of the Third Reich, he lost his Silesian property. The line still exists. The chief of the family is the Duke Ernest John (b. 1940 r.), a physician connected with Max Planck Institute. In 2007, he received the title of Honorary Citizen of the Town of Syców. Hohenlohe – a family coming from Franconia. The oldest information about its members dates from the times when the Hohenstauf dynasty was ruling in Germany (12th-13th century). Brothers Conrad and Gottfried von Hohenlohe were prominent members on the court of the Emperor Frederic II (d, 1250). Their descendants divided into three lines, of which only the Weikersheim line has continued until the modern times. Two members of the family held the office of the Grand Master of the Teutonic Knights. Henry in 1244-50, and Gottfried in 1297-1303. A few of them were bishops: in Wurzburg (Gottfried II in 1197-98, Gottfried III in 1314-1322, Albrecht II in 1345-1372), in Bamberg (Frederic I in 1343-1352), in Passau (George in 1388-1423). Some of them reached high positions in the Emperor’s court. Kraft 2nd (d. 1344) was the Marshal to the Emperor Louis IV Wittelsbach. 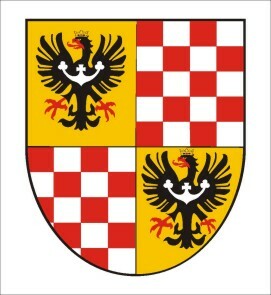 Kraft IV was a Councillor to the King Vaclav Luxembourg. Albrecht I (d. 1429) was a Councillor to the King Sigismund Luxembourg, and the bishop George was his Chancellor. In 1450 Kraft V (d. 1472) and Albrecht II (d. 1490) received the hereditary title of the Counts of the Empire (germ. Reichsgraf). In 1554, two brothers: Louis Casmir (d. 1568) and Eberhard (d. 1570), the only living representatives of the family, divided their ancestors’ property. The former received the lands around Neuenstein, and the latter, the lands near Waldenburg. The brothers were the founders of the two main extant lines of the family, which divided further in the centuries to come. The Hohenlohe family from Neunestein. Descendants of the Count Louis Casmir divided into further lines, parth of which became extinct. In 1764, representatives of four lines: from Öhringen, Langenberg, Ingelfingen and Kirchberg, received the hereditary titles of the Dukes of the Empire (germ. Reichsfürst). In 1805, after the line of the Dukes of Öhringen became extinct, the title and the most important part of the lands were taken over by the line from Ingelfingen. In 1861, the line of the Dukes of Kirchberg became extinct, and the property was divided among the Dukes of Neunenstein. In the second half of 18th century, the Dukes zu Hohenlohe-Ingelfingen (from 1805 zu Hohenlohe-Öhringen) became the owners of the lands in Silesia. In 1861, the Duke Hugo I zu Hohenlohe-Öhringen from Sławęcice received the title of the Duke of Ujazd (germ. Herzog von Ujest), inherited on the basis of the right of primogeniture. In 1862, the Duke Adolf zu Hohenlohe-Ingelfingen of Koszęcin was the Prime Minister of the Kingdom of Prussia. 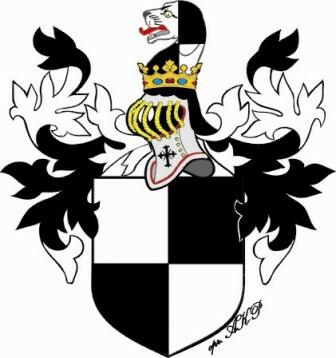 The Dukes of Weikersheim also come from the main line of the Hohenlohe family of Neunenstein (from 1911). This line became extinct in 1983. The Hohenlohe family of Waldenburg. Descendants of Eberhard of Waldenburg divided into younger lines. Two of them: of Bartenstein & Jagsberg, and of Waldenburg & Schilligsfürst, received in 1744 the hereditary title of the Dukes of the Empire (Germ. Reichsfürst). 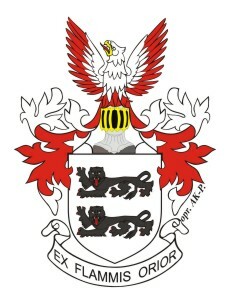 In 1757 the Duke Philip Ernest zu Hohenlohe-Bartenstein founded the Family Order of Phoenix. A few representatives of this line were bishops: Joseph zu Hohenlohe-Bartenstein in Wrocław (1795-1817), Francis Charles zu Hohenlohe-Waldenburg-Schilligsfürst in Augsburg (1816-1819). Alexander zu Hohenlohe Waldenburg-Schilligsfürst became the titular bishop of Sardika. The Duke Gustav Adolph zu Hohenlohe-Schilligsfürst became a cardinal in 1866. The Duke Victor I zu Hohenlohe-Schilligsfürst inheritet the Dukedom of Racibórz in in the Upper Silesia and the lands of Corvey in Westphalia. In 1840 he received the title of the Duke of Ratibor (germ. Herzog von Ratibor), inherited on the right of primogeniture. His younger brother, the Duke Chlodwig zu Hohenlohe-Schilligsfürst, was the Prime Minister of Bavaria (1866-70), and then the Chancellor of the German Empire and the Prime Minister of Prussia (1895-1900). Their nephew, the Duke Conrad zu Hohenlohe-Schilligsfürst, became in 1906 the Prime Minister of Austria for a few months. Upon receiving the title and rights of the Dukes of the Empire (1744 and 1764), in accordance with the stipulation of the Treaty of Westphalia (1648), they became sovereign rulers (ius territorii et superioritatis) with the right to pursue their own foreign policy. The only restriction was not to enter into an alliance against the other Dukes of the Empire. The Dukes of Hohenlohe lost their sovereignty in the Napoleonic times, after the Confederation of the Rhine was formed and smaller territories were integrated with bigger ones (the so called mediatisation). The lands of the Dukedom of Hohenlohe were incorporated into the Kingdom of Bavaria and Kingdom of Wurttemberg. Despite the loss of the sovereign rulers’ status, they were still considered equal to the other dynasties ruling in Europe. Numerous representatives of both main lines served in the armies of Wurttemberg, Prussia, Austria, France, Hessia, Great Britain and Russia, rising to high ranks as generals, field marshals, marshals and admirals. Many of them received the most important orders, e.g., the Austrian Order of the Golden Fleece, the Prussian Order of the Black Eagle, the French Order of Holy Spirit, and the Russian Order of St. Andrew. - see description of the book about the Hohenlohe family (polish). 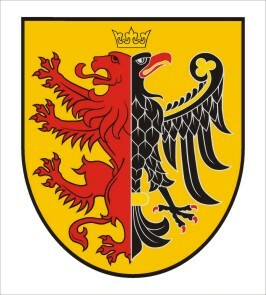 A German dynasty that originated from Southern Germany. The castle Zollern, from which the name is derived, is located near Sigmaringen in the area of present Baden-Wurtemberg. Burgchard de Zolorin, who lived in 11th century, is considered to be the founder of the dynasty. His son Frederick in 1111 was given the count's title. Frederick V (Frederick's III great-grandson) was given a title 'Prince of the Empire' ('Reichsfürst; in German) in 1363. His son Frederick VI received the March of Brandenburg in 1415 from the emperor Sigismund Luxemburg. Two years later he was given the office of elector and the title 'Arch-chamberlain of the Empire'. When the Prince of Głogów, Henry XI, died childless in 1476, the elector Albrecht Achilles claimed the legacy in the name of his daughter Barbara, who was the widow after Henry. The Prince made her heiress in case he ha no children. The Prince of Żagań, John II the Mad, also wanted the heritage. After a few years of war, in 1482 an agreement was reached. 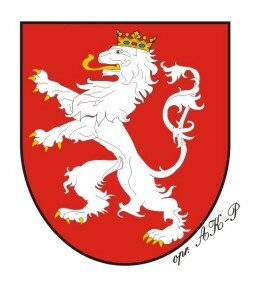 Barbara received a part of the principality of Głogów, together with Krosno. The remaining lands became John's II property. Barbara had to give her part to the elector as a payment for his help. 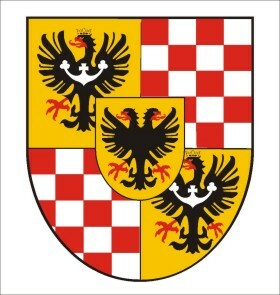 The principality of Krosno became then a part of the domain owned by the Hohenzollerns from Brandenburg. In 16th century, George the Pious from the Ansbach line (originating from the margrave Frederick, the elector Albrecht Achilles' younger son) became the ruler of almost all lands in the Upper Silesia, i.a., the principality of Opole and Racibórz, the terrains of Bytom and Bogumin, as well as the principality of Karniów. George of Ansbach together with the Prince of Opole John II the Good founded the city of Tarnowskie Góry. George's younger brother, Albrecht, from 1511 was the last Great Master of the Teutonic Order in Prussia. In 1525 he received the hereditary title 'Prince of Prussia.' When the line extinguished in 1618, the lands were taken over by electors of Brandenburg. The elector John I Cicero's younger son, Albrecht (d. 1545) in 1515 was named a cardinal as the first in the family. From 1513 he was the archbishop of Magdeburg and the bishop of Halberstadt, and from 1514 also the archbishop and elector of Mainz. In 1537 the elector Joachim II and the Prince of Legnica and Brzeg Frederick II on the occasion of their children's wedding signed a pact about survival. 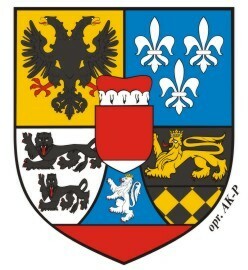 The Hohenzollerns recognised the Piasts's rights regarding the legacy of Krosno and Dolne Łużyce, and in exchange were given the rights to the principalities of Brzeg and Legnica. The principalities would become the property of one of the families in case the other extinguished. The emperor Ferdinand I invalidated this pact in1746. But the Hohenzollerns upheld their claims concerning the Silesian principalities. From the elector John George's (d. 1598) younger sons stem the following lines: from Christian the line of Bayreuth (extinguished in 1763) and from Joachim Ernest the line of Ansbach (extinguished in 1806). Representatives of both lines ruled in the family's property in Franconia. 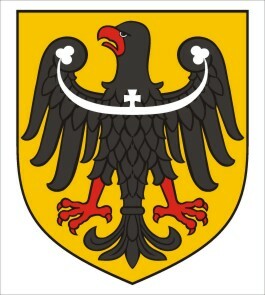 In 1657 as a result of the Pact of Welawa and Bydgoszcz, the Hohenzollerns gained sovereignty in Prussia. The elector of Brandenburg Frederick III in 1701 announced himself the King in Prussia ('König in Preusen' in German). In 1714 this title was changed into King of Prussia ('König von Preusen' in German). In 1740, Frederick II just after becoming the King entered Silesia with his army. He justified it with his rights to various principalities. The peace made in 1742 finished the 1st Silesian War and gave most Silesian lands under Prussian ruling. Within the borders of the Habsburgs' monarchy remained the principalities of Cieszyn, Karniów, Opava and partly of Nysa. The 2nd Silesian War (1744-1745) and the Seven Years' War (1756-1763, named also the 3rd Silesian War) just confirmed the status quo. As a result of further wars and annexations, in the end of 18th century the Hohenzollerns' state became one of European superpowers. In 19th century, after the victory over the Austrian and French Empire, the countries of Germany was united. On 18 January 1871 in the Mirror Gallery in the Palace of Versailles the King of Prussia Wiliam I was announced the German Emperor. The Hohenzollerns' power and career reached their peaks. They lost both thrones – German and Prussian – as a result of the November revolution in 1918. Presently, the heir of the Emperor's and King's titles is George Frederick I (b. 1976), Ludvig Ferdinand’s I (d. 1994) grandson. In 16th century after the count Charles' I death, the line divided into branches, i.a, zu Hechingen and zu Sigmaringen. The count John George of Hohenzollern (d. 1624) – Charles' I grandson – was the owner of the Grodno castle near Zagorze Śląskie. His step-son was Hans Ulrich Schaffgotsch (d. 1635), who later become a famous general, one of the leaders in the Emperor's army during the Thirty Years' War. In 1621, Eitel Fryderyk (d. 1625), the count John of Sigmaringen's younger son, became a cardinal. Two years later he became the bishop of Osnabrück. Already in the next generation, in 1623 representatives of the Hechingen and Sigmaringen lines were named 'Princes of the Empire' ('Reichsfürst'). John George (d. 1623) became the Prince of Hohenzollern–Hechingen, and his cousin John (d. 1638) Prince of Hohenzollern–Sigmaringen. Their titles were hereditary in accordance with the primogeniture rule. 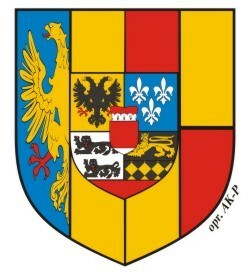 In 1806, after joining the Rhenish Union – under the emperor Napoleon's I protectorate – the Princes Hechingen and Sigmarigen gained sovereignty in their principalities. During the Spring of Nations in 1849 the Princes Hechingen and zu Sigmaringen ceded their sovereignty rights to the King of Prussia. The line of Princes zu Hohenzollern – Hechingen extinguished in 1869 upon Frederick William's death. The line of Princes zu Hohenzollern – Sigmaringen gained in the middle of 19th century the Romanian throne. The Prince Charles was first elected a Prince in 1866, and in 1881 he announced himself a king. His elder brother Leopold stood for the Spanish throne in 1870 (it was the cause of the war between Prussia and France). The fear of France being surrounded by the Hohenzollerns caused Napoleon's III involvement in the war and his further defeat. 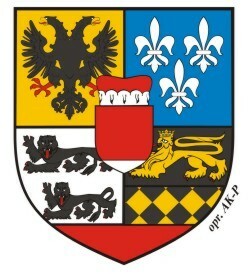 In Romania the dynasty of Hohenzollern–Sigmaringen ruled until 1947. The last Romanian monarch was the King Michael I (b. 1921). When in 1869 the line of Princes from Hechingen extinguished, the Prince Charles Antoine (d. 1885) was given the title 'Prince of ('Fürst von') Hohenzollern.' Since 1965, the heir of the title is Frederick William of Hohenzollern (b. 1924). - see in Gallery The Abbey in Heilsbronn with Hohenzollern's tombs. The first Bohemian national dynasty. Its legendarny founder was Přemysl, a ploughman from the village of Stadnice, who was chosen to be the husband of the Princess Libuše, the daughter and heiress of Krok, the ruler of Bohemia. Their descendant in the eighth generation was supposed to be Bořivoj I (d. 895), the first historical ruler of Bohemia. Wenceslaus I (d. 929) was his grandson. He was murdered by his younger brother Boleslaus I the Cruel (d. 972). He was canonized in the 11th century, and along the time he became the Patron Saint of the whole dynasty and country – that’s where the name “The Countries of the Crown of Saint Wenceslaus” comes from. The attempt by the Boleslaus I the Cruel to gain independence from Germany did not succeed and led to permanent subordination of the country to the Empire. Boleslaus’s daughter was Dobrawa, the wife of the Polish Prince Mieszko I. Soon after their wedding, Christianity was introduced in Poland (966 – the Baptism of Poland). Boleslaus’s son, Boleslaus II the Pious, lost in about 990 Silesia to Mieszko. Up to that time, Silesia was a part of Bohemia. In 1038, after Bretislaus’s I invasion on Poland, Silesia was returned to Bohemia. Then, it was recovered in 1050 by Casimir I the Restorer. After the Duke’s death, the dynasty divided into two main lines: of Bohemia and of Moravia. Constant rivalry for the throne in Prague led to weakening of the dynasty and country. In that period, the Přemyslids twice obtained a life-long royal title: Vratislaus I in 1085 (d. 1092) and Ladislaus I in 1158 (abdicated in 1173, died in 1174). Přemysl Otakar I (d. 1230) united the country. In 1198 he received the hereditary title of the King of Bohemia. One of the most prominent and well-known representatives of the dynasty was his grandson and namesake, Přemysl Otakar II (d. 1278). He conducted very active politics in Central Europe. He submitted his rights to the heritage after the extinction of the dynasty of the Babenbergs of Austria. He ruled temporarily over Austria, Styria, Carinthia and Craina. His activities were continued by his son, Wenceslaus II (d. 1305). In 1289, the Duke of Bytom Casimir II (d. 1312) paid homage to him as the first Silesian Piast. After conquering most of Polish lands, Wenceslaus II was crowned in 1300 the King of Poland. One year later, his son (d. 1306) was crowned the King of Hungary (as Ladislaus V). After his father’s death, he lost the throne of Hungary and inherited the thrones of Bohemia and Poland as Wenceslaus III. He was murdered in Olomouc. Upon his death, the royal line of the Přemyslids extinguished. After a few years of fight, the throne of Bohemia was received by the dynasty of the Luxemburgs. The younger, Silesian line of the Přemyslids stems from Nicolas I the Duke of Opava (d. 1318). He was a natural son of the King Přemysl Otakar II. After his son’s death (d. 1365), the family divided into two lines. From the Duke Premko (d. 1433) comes the line ruling in Opava, Głubczyce and Ścinawa. It extinguished in 1515. From John I (d. 1377) stems the line ruling in Racibórz and Rybnik. It extinguished in 1521 upon the Duke Valentin’s death, who was the last representative of the Přemyslids.